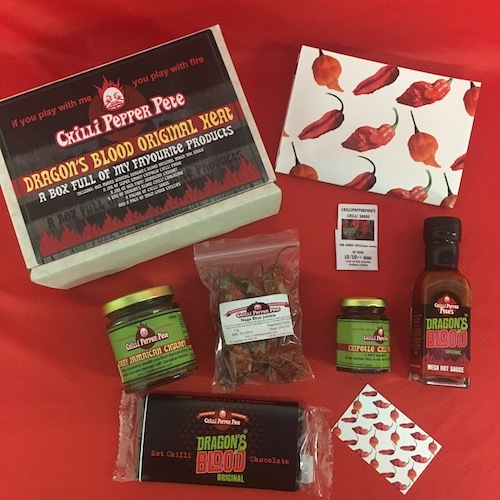 Dragon's Blood Original Heat Gift Box with the best hot products available - a little piece of chilli heaven! A box full of Chilli Pepper Pete's megahot products! What more could a chillihead wish for? A bar of Dragon's Blood Original Chilli Chocolate, made with Naga chillies & pineapple juice. Contents may change from time to time - but whatever they are they will be delicious!